Three soap queens reunite in The Rich & The Ruthless! Kimberlin Brown was one busy soap diva this past spring! In addition to her jaw-dropping reprisal of dastardly Sheila Carter on CBS Daytime&apos;s The Bold and the Beautiful, the soap legend also filmed an appearance in Victoria Rowell&apos;s upcoming soap-themed comedy The Rich & The Ruthless! Rowell, who also wears executive producer and director hats for The Rich & The Ruthless, stars as Katherine "Kitty" Barringer, former Queen of Soaps determined to reclaim her spotlight. 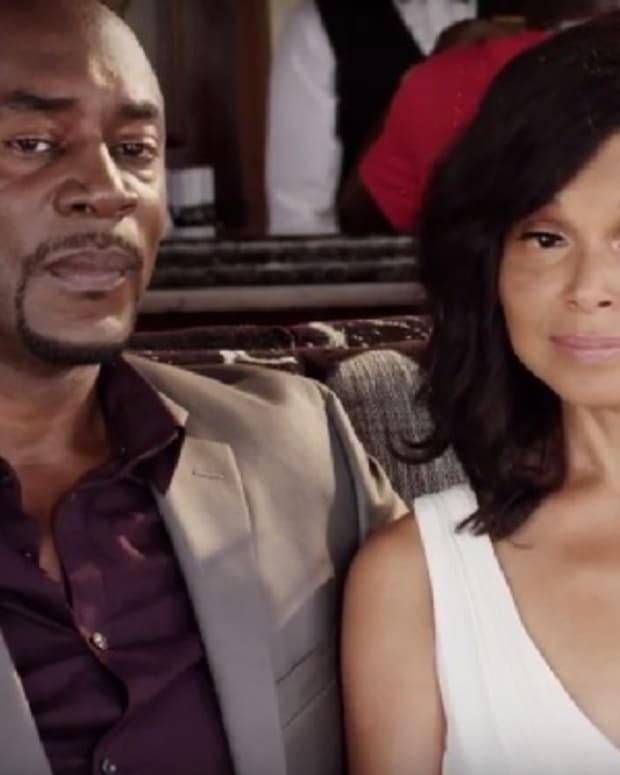 Being Mary Jane actor Richard Brooks plays Kitty&apos;s husband, cutthroat soap opera creator Augustus Barringer. Robert Ri&apos;chard (Chocolate City, Cousin Skeeter) appears as Kitty and Augustus&apos;s bad boy son Max and Valenzia Algarin (Major Crimes, NCIS: Los Angeles) portrays Kitty and Augustus&apos;s adopted daughter Veronica. Y&R alum Brenda Epperson (seen above with Brown and Rowell) stars as Edith Norman, a scheming network executive who wants control of the Barringer soap dynasty. Just wash all your memories of Epperson suffering valiantly as Ashley Abbott in the 90&apos;s right out of your mind. On R&R, she&apos;s quite the soap opera superbitch! We filmed a good portion of Season 1 at the Secrets Resort and Spa in Jamaica. Check out this video from the Jamaican Observer below! The Rich & The Ruthless will debut later this year. The Rich & The Ruthless is Coming to Urban Movie Channel in July! Could Kimberlin Brown Return to B&B?